A Los Angeles politician cast a critical 'yes' vote months after the chief executive of Sony Pictures arranged a $25,000 corporate contribution to a super PAC. Emails stolen by hackers from Sony Pictures Entertainment have been fodder for a steady stream of gossipy Hollywood scoops. But the trove also contains a hidden and more consequential story about how corporations can try to influence local politics and advance their executives' pet projects. Messages reviewed by ProPublica and The Los Angeles Times show that the top executive at the entertainment company, who also sits on the board of trustees of the Los Angeles County Museum of Art, last year directed a $25,000 Sony contribution to a state super PAC. The politician who founded the PAC later cast a crucial vote backing millions of dollars in public funding for the museum's expansion. The donation, records and interviews show, was promised well before a local election, but wasn't publicly disclosed until afterwards. The art museum had been lobbying local officials last year for $125 million toward a flashy new $600 million campus, the curved contours of which would hover over one of the city's main thoroughfares. 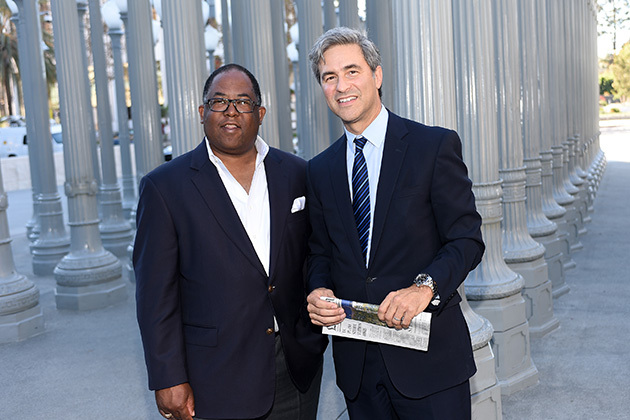 A key vote would come from Mark Ridley-Thomas, a county supervisor who represents Compton, Watts and many of LA's toughest neighborhoods. The museum's director, Michael Govan, believed Ridley-Thomas' vote would be critical because the building would stretch into his district – which meant other supervisors were likely to defer to him. In an interview, Govan acknowledged the project was going to be a hard sell and he was "nervous" about the outcome. 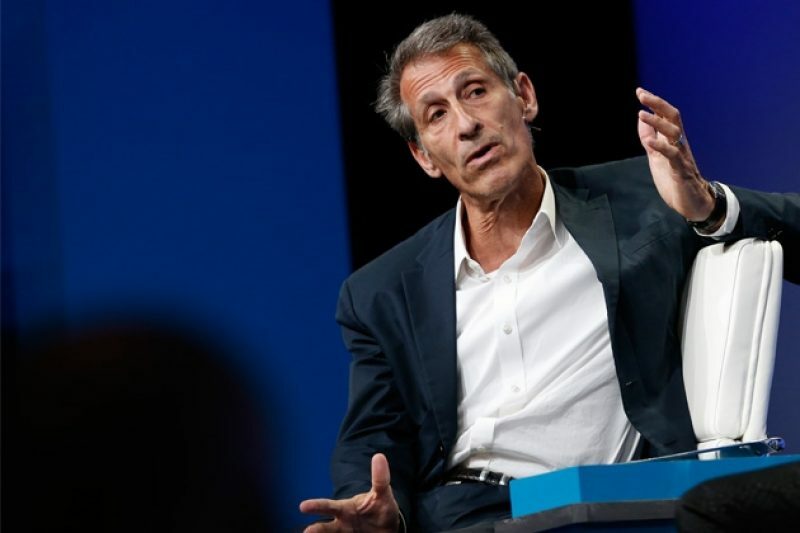 Then, in July, Govan learned that one of the museum's trustees, Sony Pictures Entertainment CEO Michael Lynton, was about to have lunch with the supervisor. So he sent a pair of emails to Lynton listing the virtues of the project, saying that the timing of the meeting was "perfect and critical" and adding, "this won't happen if the Supervisor doesn't support it." All parties involved insist there was no connection between the contribution – far and away Sony's largest in California that year – and the supervisor's vote. Such a link could be a violation of campaign finance law. Months before Lynton and Ridley-Thomas met, two of their aides went to lunch at Café Vida, a casual spot near Sony's offices in Culver City: Keith Weaver, Sony's executive vice president in charge of government affairs and Alex Johnson, at the time an aide to Ridley-Thomas. According to the internal emails, the two met to discuss Johnson's bid for a seat on the L.A. school board. Ridley-Thomas had endorsed his aide, and the PAC he founded – the African American Voter Registration, Education, and Participation Project – was spending heavily to get him elected. Weaver threw Sony's support behind Johnson, scheduling an event to introduce him to other potential supporters. A review of California campaign finance filings shows no Sony contributions in the last decade to a school board candidate. In internal records, Weaver noted the candidate's affiliation with Ridley-Thomas. Less than two months later, Lynton and Ridley-Thomas went to lunch. Lynton's team entered the meeting prepped with the note from Govan reminding the Sony CEO why the supervisor's support was critical. The county, Govan said, wanted to see a financial plan for the museum's new building by fall. Since term limits were about to force some turnover on the board of supervisors, it was in the museum's interest to move quickly. The museum needed the county to commit so it could leverage the public funding into millions of dollars more in private support. Weaver sent an email before Lynton's lunch, telling the CEO that the Ridley-Thomas-linked PAC was spending heavily to get his former aide elected. Weaver, the emails show, discussed the obstacle with the supervisor's staff. "I've made clear that money is not the issue and they completely understand. So, the ball is in their court to come back to us ASAP with other options," Weaver wrote to Lynton on July 31. "You could contribute $25k AFTER the election to the African American Voter Registration, Education, and Participation (AVREP) fund (it's a PAC)," Weaver wrote. The aide listed benefits to this approach: the PAC was established over a decade ago and it had a "broader purpose," including voter registration. "While AVREP is playing a role in helping Alex Johnson in the race, the timing of your contribution would come after the election," the aide wrote. He reiterated the timing in a follow-up email: "We will not make this contribution until after the election. Also, for what it's worth, we've contributed annually to AVREP since 2009 (so the giving history is well established)." As with national super PACs, the advantage of such independent committees is that they have no dollar limits on contributions. They can spend unlimited amounts in support of a candidate as long as they don't coordinate with the candidate's official campaign. By promising the donation to the PAC before the election, but cutting the check after, Sony potentially enabled the PAC to spend more than it otherwise would have on behalf of Johnson, without voters knowing about the corporate support when they went to the polls. A spokesman for the Fair Political Practices Commission, California's election code enforcement agency, said such violations are easier to catch if the agreement is in writing. "What's said over a cup of coffee or even on a phone call is not necessarily always put in writing," said the spokesman, Jay Wierenga. If a PAC counted on a donation, spent money it didn't have on campaign ads and then later got a contribution in that amount, regulators would be interested, especially "if there was some reason why the contributor would not want to be publicly disclosed before the election," said Jim Sutton, a California election law attorney. After the PAC spent almost $595,000 on the school board race and after it received Sony's check, it reported that its coffers were nearly depleted, with about $29,000 in cash on hand and about $21,000 in outstanding debt. Stephen Kaufman, an attorney for the PAC, said the group didn't spend more money on the school board race than it otherwise would have. He said the PAC didn’t consider Sony’s donation pledge enforceable. In any case, election law experts said, if a donation is pledged but only publicly revealed after an election, it sidesteps the spirit of disclosure laws. 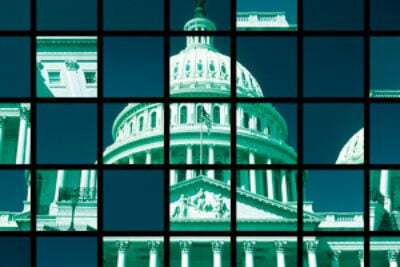 "It deprives the voters of really important information‚...(about) what interests politicians may be beholden to," said Loyola Law School professor Jessica Levinson. Reached by phone, Lynton refused to discuss the content of the stolen emails. He referred questions to Weaver, who acknowledged that the email chain might lead to reasonable suspicions of a quid pro quo. But, he said, "the answer is quite simply no, we would never conduct ourselves in such a manner." Sony had given $5,000 contributions to the Ridley-Thomas-linked PAC in years past and, according to the PAC's filings, had already given one in June 2014. "There's always a push for a year over year increase," Weaver said. "This year we felt inclined to do so." He declined to elaborate. Asked if the museum vote was discussed at the lunch, Weaver said he wasn't sure. "I guess we could have, but it's not primarily what we talked about," he said. He declined to discuss the timing of Sony's donation. Govan, the museum director, said in an interview he had been sure he had the support of one county supervisor for the new campus, but was "nervous" about the other four. He said he enlisted Lynton's help because Sony's studio complex falls within Ridley-Thomas' district, and Lynton dealt with the supervisor regularly. Govan said he doesn't believe there was any connection between the contribution requested by Ridley-Thomas, who is known by his initials MRT, and the supervisor's support for the museum funding. "Maybe the only reason that lunch was happening was because MRT wanted something from Michael," but the meeting was also a perfect chance to make the case for the museum expansion, Govan said. "Michael's role in this was to use the power of his intellect to persuade with facts, I can't believe there was any trading, that's just so foreign to me." As for Ridley-Thomas, Govan said, "I know I'm being romantic, but I believe in politicians." Harris, the aide to Ridley-Thomas, recalled that his boss did solicit the donation from Lynton at the lunch but said he didn't remember any discussion of the museum vote. "Generally speaking, I know the supervisor and I recognize that one should not mix fundraising with any public-policy-related work," Harris said. "That isn't cool at all." Harris said Sony's promise to make the donation came either at the lunch or soon afterwards. He said the idea to delay the check did not come from tthe supervisor’s office. He said he never doubted Sony would make good on its pledge. Harris said he believed the donation was five times larger than Sony's usual check to the PAC because "donors are always solicited for more. You give a thousand this year, you ask for two thousand next year, hope you get 1500." Asked if he thought it was appropriate for Ridley-Thomas to solicit a donation from someone who had business before his board, he said the question wasn't relevant because Sony had no business before the board. Sony's $25,000 donation came through on Sept. 10, records show, less than a month after the school board election. The check was more than three times the size of any of the dozens of other donations Sony made to California candidates and committees that year. "Just got an email from MRT," Govan wrote. "I think we're good!" Then he expressed his gratitude to the Sony CEO: "Thank you Michael." Two days later, Ridley-Thomas' board voted unanimously to approve a tentative plan to fund the museum's construction with $125 million of taxpayer money. Ridley-Thomas lauded the deal, according to the emails, saying it "set a standard for public/private partnership."